Out of all the beautiful cities throughout the sunshine state, why choose Jacksonville? Jacksonville is the largest city by population in Florida, housing over 900,000 people, and also the largest city by size in the United States encompassing the North East corner of Florida at 840 square miles. 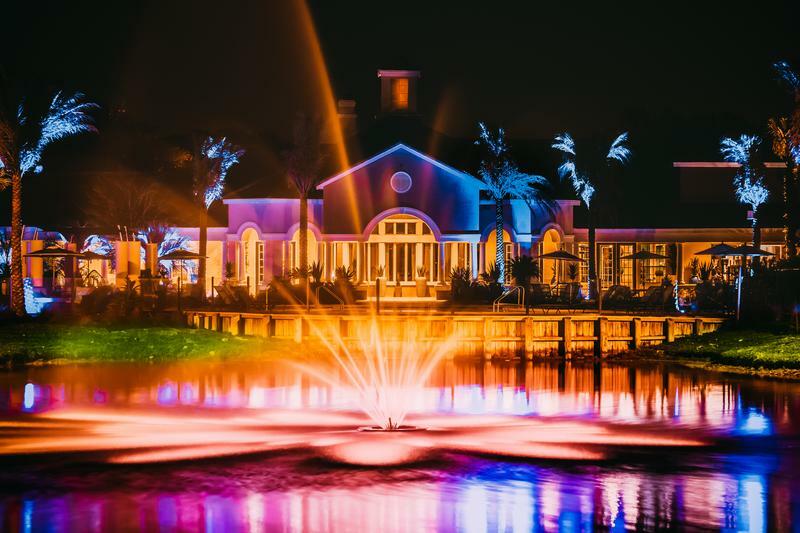 Jacksonville is an up-and-coming location for individuals with all lifestyles to call home. While consistently rated as one of the “Hottest Cities in America” for business expansion, Jacksonville also prides itself on providing recreational opportunities, such as Neptune, Jacksonville and Atlantic beaches, the Kathryn Abbey Hanna Park, and one of the largest urban park systems in the country. Also, discover the excellent public school systems and colleges the city has to offer. Sports fan? Jacksonville proudly stands as the home for the Jacksonville Jaguars, the University of North Florida and Jacksonville University. Jacksonville is also home to TPC Sawgrass golf course, the location of the Players Championship. After a day of work or perusing the city’s attractions, indulge at one of Jacksonville’s southern charm infused restaurants where you can find “farm to table” and locally sourced ingredients that will satisfy your inner foodie. Relish in the scenic waterfront and city line views while engaging in many indoor or outdoor activities. Aspen Square Management is proud to have three Jacksonville apartment communities, Lakewood Village, Banyan Bay, and Indigo Isles. Each Jacksonville apartment community offers different floor plan sizes from studios to three bedroom apartment homes. All of our apartments in Jacksonville, FL are conveniently located in close proximity to local beaches, attraction sites such as the Mayport Naval Station, and major highways like I-95. Enjoy an outdoor lifestyle at Lakewood Village where you can take a short walk to St. Johns River or relax within the community’s own park-like atmosphere. 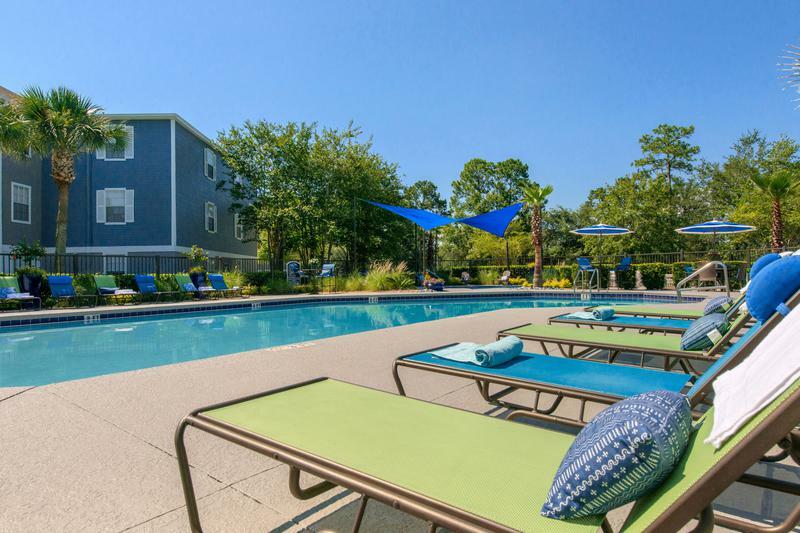 Our luxury apartments in Jacksonville, Florida offer convenient access to area attractions like St. Johns Town Center, the University of North Florida, and the world-renowned Mayo Clinic and Baptist MD Anderson Cancer Center. Indigo Isles, is tucked away in the charming residential Southside area, also close to St. Johns Town Center, as well as Tinseltown and The Avenues Mall. All our apartments feature gorgeous kitchens with white cabinetry, granite-style countertops and optional stainless steel appliances. You’ll be able to do laundry in the comfort of your home with a washer and dryer in your apartment for your convenience. Have plenty of storage for all your belongings with spacious closets with built-in shelving to help keep you organized. Get your pup ready because they’re moving in! All our apartments in Jacksonville, Florida are pet-friendly and even welcome large breeds. You’ll find all the amenities you could ask for, from a resort-style pool for swimming and lounging to outdoor activities like tennis or playgrounds for the kids. You’ll also find fitness centers equipped with everything you’ll need to fit in your cardio or strength training workout. If you are looking for a beautiful place to call home while also enjoying exceptional customer service, our Jacksonville, FL apartments for rent are where you want to be. 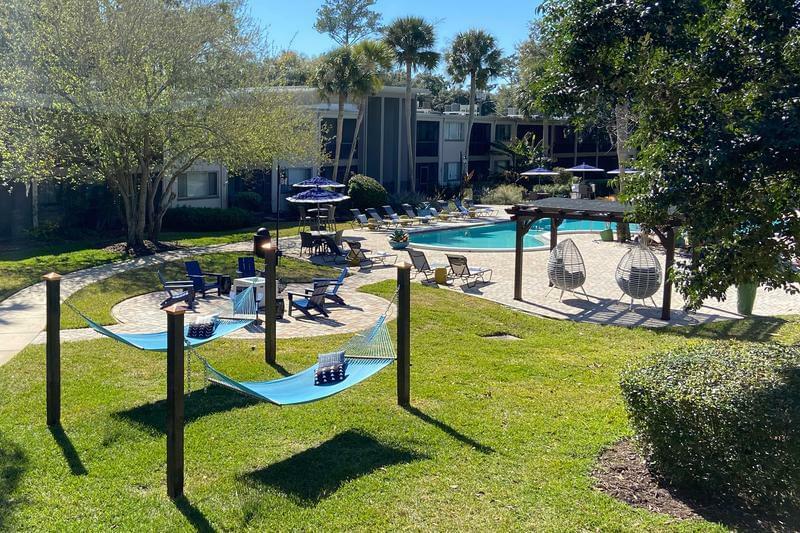 We ensure a positive lifestyle by equipping our Jacksonville, FL apartments with 24-hour fitness centers, car wash centers, dog parks, resort-style pools, screened-in patios and so much more! We take pride in our professional on-site staff who will provide 24-hour emergency maintenance, a relaxing and comfortable living experience and a smile for every person that walks through the door. The city of Jacksonville takes pride in their motto of “where Florida begins.” Let Aspen help you begin your life here.